Over the past year or so there has been an explosion of electronic development boards so you can build your own DIY projects and feed the hobbyists desires. 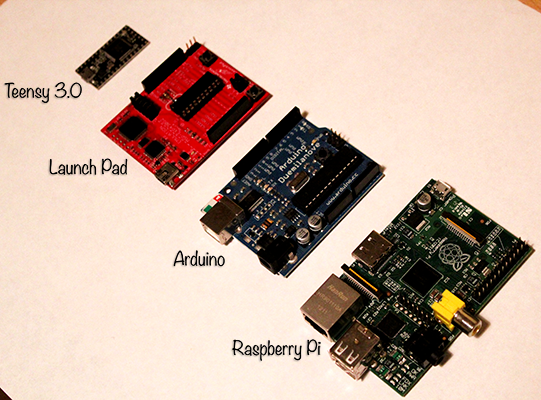 I have been no exception and have quite a few boards including the Raspberry Pi, Arduino, LaunchPad from Texas Instruments and the latest addition of the Teensy 3.0. I have added a bit about each board and how I have used them. 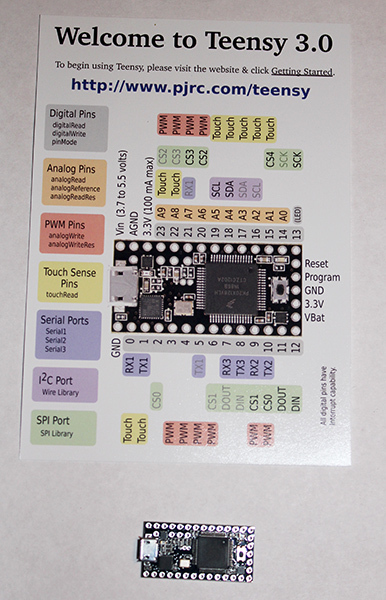 My Teensy 3.0 from Kickstarter project by Paul Stoffregen arrived and am looking forward to getting to grips soon. Teensy 3.0 is an affordable 32 bit ARM Cortex-M4 board, for development in Arduino or C/C++. As we have seen more and more applications and devices using voice recognition especially on Android and iOS and because I have been working with applications that use voice recognition I have put together some links that maybe useful for applications using voice recognition. I have used several of these for applications including the project glass inspired work. This library is for arduino and provides an interface for voice recognition using the Arduino, which does voice recognition in a way different from most high powered voice recognition methods. It calculates the complexity of the signal is determined by taking the absolute derivative of the signal multiplying it by a fixed point saclar and then dividing it by the absolute integral of the signal. This project is hosted on github so go take a look. Developed by Nuance this is one of the most advanced voice recognition offerings out there. The SDKs are available for client use or as a server side service. Offered by microsoft and integrated into kinect for windows parts (tutorial here), it provides voice recognition of a word or phrase from a set list. This offering by AT&T provides full voice recognition from a cloud based offering but uses advanced category indication to help Watson identify what you are saying. ie you can tell it if the category is business and it refines it’s recognition. Part of one of the most successful apps on android, iOS and Playbook iSpeech provides a Text to Speech cloud service that is easy to use and integrate. They offer mobile SDKs to get you up and running quickly. This recognition SDK performs continuous recognition giving you full voice trasncoding. Provides speech recognition for 25 major languages. This is a good open source voice recognition solution. My name is William Powell and I work in the technology sphere.